Bihar-born Mona Das, a Democrat, has been elected Senator of the 47th district of the State of Washington in her very first attempt. The oath ceremony took place on January 14 where Das, took pride in her ancestry with the Gita in her hand. Her ancestors belonged to Dariapur village of Kharagpur division in Munger district of Bihar. Das, who defeated two-term sitting Republican party Senator Joe Fain, will serve as vice chair of the Senate Housing Stability and Affordability Committee. She will also serve on the Senate Transportation Committee, the Senate Financial Institutions, Economic Development and Trade Committee, and the Senate Environment, Energy and Technology Committee. Mona Das, 47, migrated to the US along with her parents when she was just eight months old. Her grandfather Dr GN Das is a retired civil surgeon from Gopalganj district and used to work at the Bhagalpur Medical College Hospital and Darbhanga Medical College Hospital. Her father Subodh Das is an engineer and lives in St Louise MO. Mona Das’ address began with greetings on the occasion of Makar Sankranti, which was celebrated a day later in India on January 15. "Like Mahatma Gandhi and the present great and dynamic leader Prime Minister Modi ji said, education is the key to success for girls in life. By educating a girl you have educated an entire family and successive generations as well," Das said in her message. As an elected Senator, she has decided to encourage girls to push forward and shatter the glass ceiling. Talking about her ancestral village, Das said, "I have plans to one day visit my ancestral home in Dariapur in Bihar and travel through the rest of India to learn more about the immensely diverse culture that my native country is." 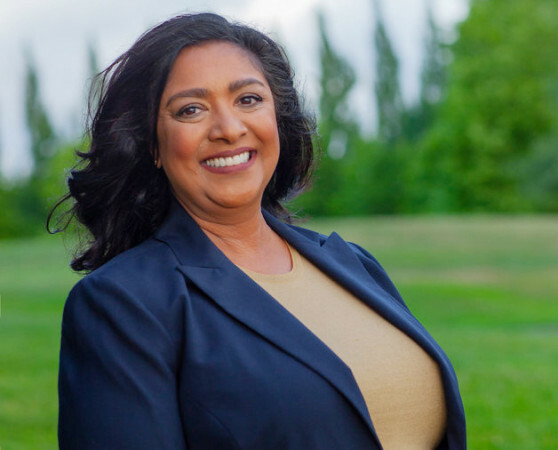 To improve the educational opportunities for women and affording them a better future, Mona Das, in her capacity as Washington State Senator, would like to make herself available to meet with key individuals in villages to provide guidance and mentorship.